It’s that time of year again! One of the requirements of CDCC’s Clean Cities contract is to collect petroleum reduction data from stakeholders annually. An online survey has been developed to help collect fleet data. If you or your agency/organization has sold alternative fuel, installed alternative fuel stations (including EVSE), used alternative fuel vehicles (on-road or off-road), implemented idle-reduction strategies, or implemented vehicle miles traveled (VMT) reduction programs (e.g. ridesharing) CDCC wants to know! This is a great opportunity for your agency/organization to demonstrate how it is helping the Capital Region achieve energy independence and improve air quality. Please complete the online survey below, or access it here, or download and complete the Fleet Survey template in .xls and return to jceponis@cdtcmpo.org. The CDCC increased it’s petroleum displacement by almost 50% and greenhouse gas emission reductions by almost 30% in 2013. 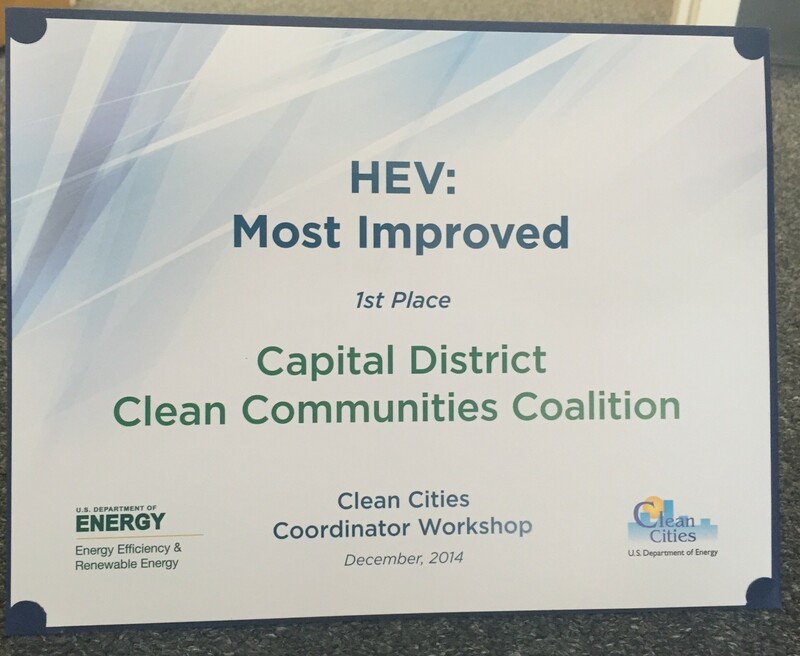 It was also awarded 1st place for HEV: Most Improved” by the U.S. Department of Energy at the Clean Cities Coordinator Workshop in December 2014. You can review the 2013 Annual Report here. 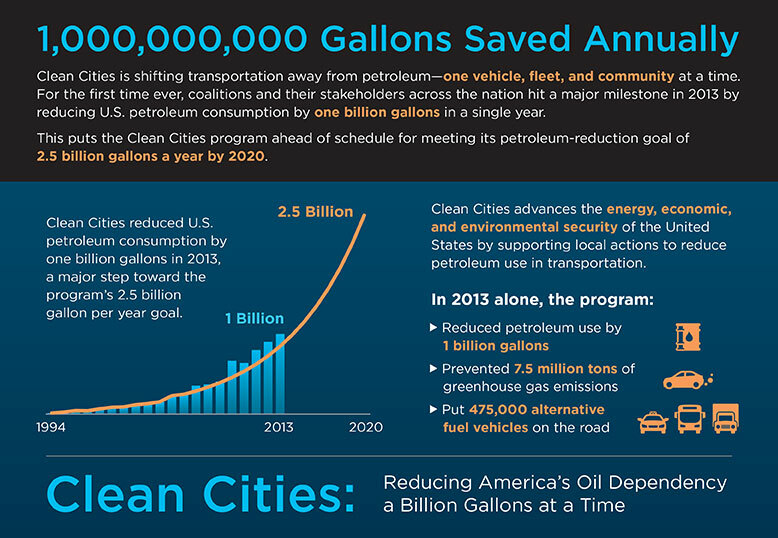 Clean Cities is on track to meet its goal of saving 2.5 billion gallons of petroleum per year by 2020, nationally. The program has saved more than 5 billion gallons of petroleum since the program’s beginning in 1994. None of this would be possible without you and your agency/organization’s efforts. All survey participant names will be submitted into a raffle for a $25 gift certificate to a local restaurant or coffee shop of their choosing. Survey responses must be received no later than Monday, March 9th. If you have any questions contact Jennifer Ceponis via email at jceponis@cdtcmpo.org or by phone at (518) 458-2161.